We started the weekend off with a Pipe Band March through downtown Dunedin. The weather had been bad all afternoon, but in true Scottish fashion the parade went on rain or shine. Our students have a parade choreography they debuted at Christmastime and were excited to get to perform again. 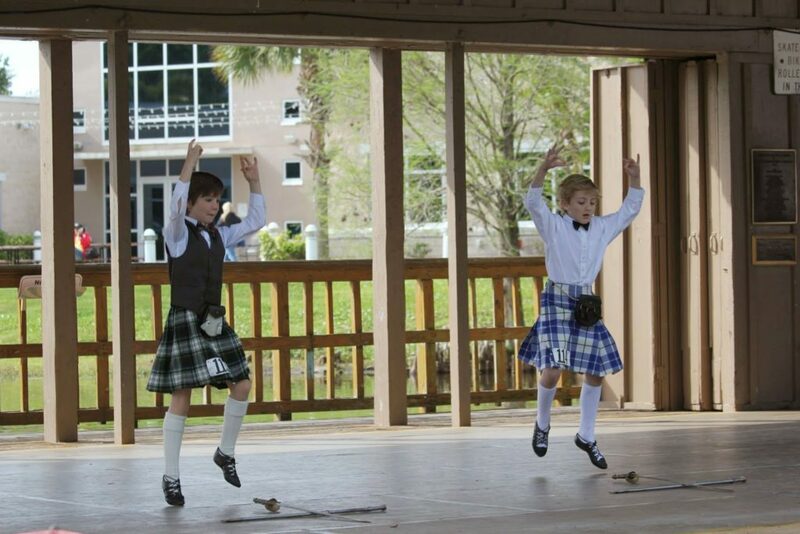 Due to the unstable weather conditions and since our students would be competing the next morning, we decided to wear our Tampa Bay Highland Dancers t shirts and athletic shorts instead of kilts. It was raining up until the step off time (which had been pushed back by 45 minutes), but then by the end of the parade the sun actually made an appearance. Miss Elizabeth worked for Walt Disney Entertainment for 7 years, so she loves every opportunity participate in a parade! 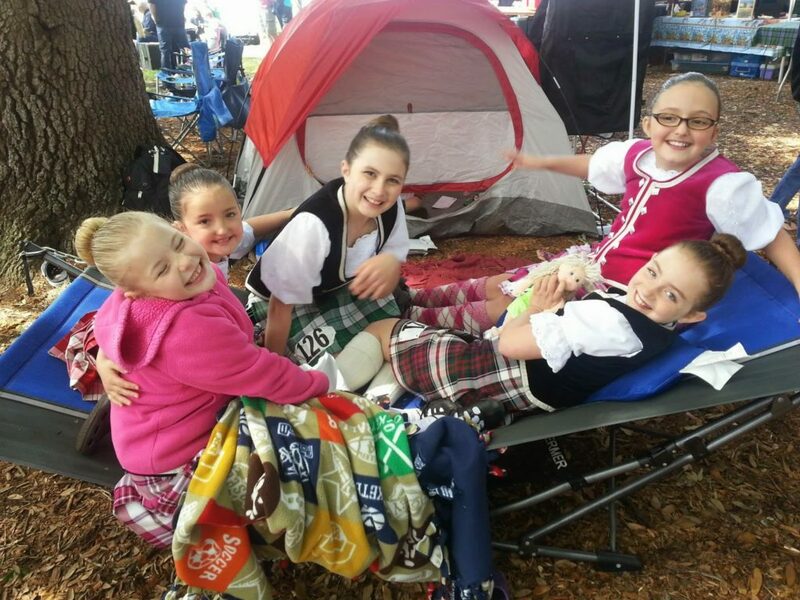 The next morning we headed to the Dunedin Highland Games. The weather was glorious! Dancing took place outside this year, which was a departure from the indoor venue in recent years past. TBHD made up 45% of the pre-premier competition, so there was a healthy delegation dressed in purple. In all we had 28 dancers competing! There was a small snag around lunchtime when dancing ran overtime. 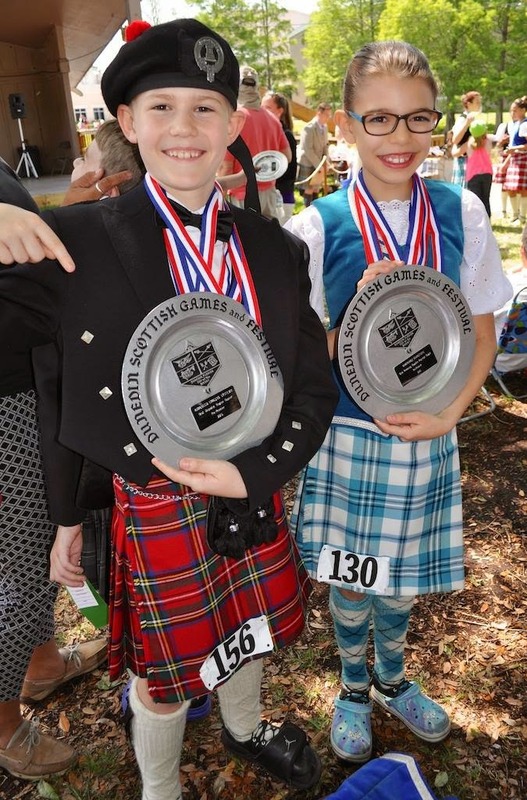 All dancers were invited to participate in a Highland Fling performance for opening ceremonies, but awards were still going on. They announced a break for opening ceremonies, yet still continued to call awards. Miraculously, none of the dancers got lost in the shuffle, although some were to scared to leave the dancing area for fear of missing out on their hard earned medals. In the end, TBHD brought home straight firsts in Primary, trophy winner in Beginner 11 and Under, trophy winner in Beginner 12 and Over, trophy winner in Novice 12 and Under, Most Promising Beginner Dancer and Best Dunedin Novice Dancer. It was a great day for TBHD! We hope that our dancers feel inspired to work even harder. Whether they win or lose we are so proud of each one of our dancers. They truly support each other and at the end of the day just want to have fun with their friends. We’re looking forward to Dunedin Highland Games in 2016. Until then, you can find us in the studio working hard! ← 3 Gifts that are Perfect for the Highland Dancer in your life!